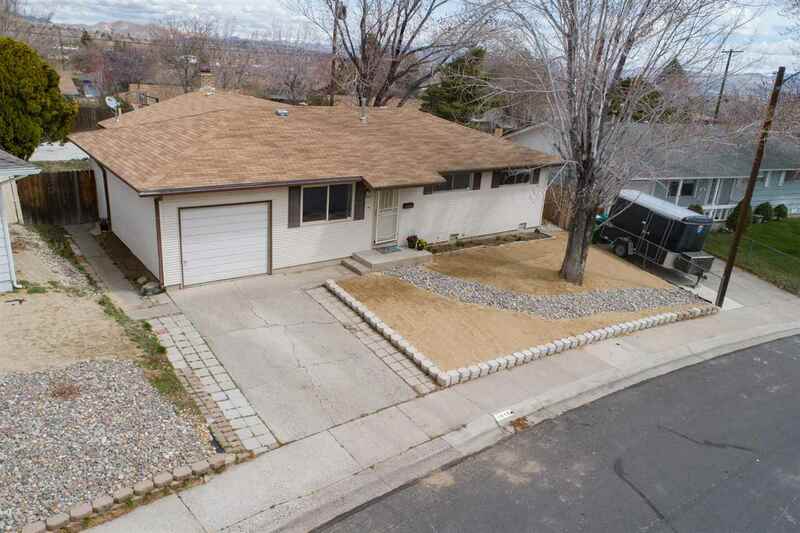 Great home on a quiet street in nice and convenient NW Reno neighborhood. This home has a nice ambience and has been freshly painted inside. Baths have been updated with tile and marble finishes. Tile flooring in kitchen and master bath. You will love the bright family room with floor to ceiling rock wood burning fireplace. Family room opens to large yard which includes a basketball court area. Kitchen is open to dining area and also convenient to living and family rooms. Clean & ready for new owner!